A slow cooker (also affectionately known as the crock pot) is cheap to buy, economical to use and is great for making the most of budget ingredients. They offer a healthier, low-fat method of cooking and require the minimum amount of effort. Really, what’s not to love? One of the main attractions for many is the ease of a slow cooker, so when you’re looking for recipes, avoid those that suggest a lot of pre-preparation. For many dishes, particularly soups and stews, you really can just throw all the ingredients in. If you’re using onions, it’s nice to fry them beforehand as the flavour is different to when you put them in raw, but experiment both ways as you may find you prefer one. It can also be good to brown meat to give it some colour but again this is not essential. If you’re short on time in the morning, prepare everything you need for your slow cooked meal the night before, put it into the slow cooker dish, cover and store in the fridge overnight. Ideally the dish should be as close to room temperature as possible, so get it out of the fridge when you wake up and leave it for 20 minutes before turning the cooker on. If you need to heat your dish beforehand, then put the ingredients in a different container and transfer them in the morning. Slow cookers are great for cooking cheaper cuts of meat. 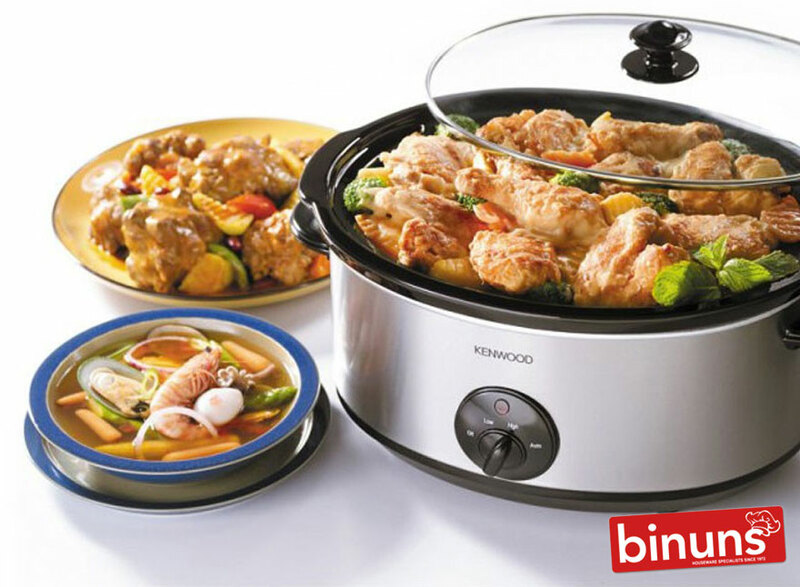 The slow and steady cooking function ensures that meats will end up soft and succulent. You can also use less meat as slow-cooking really extracts a meaty flavour that permeates the whole dish. Bulk up with vegetables instead. You don’t need to add oil to a slow cooker, the contents won’t catch as long as there’s enough moisture in there. You don’t need a lot of fat on your meat either. Normally when you fry meat, a lot of the fat drains away, this won’t happen in a slow cooker so trim it off, otherwise you might find you have pools of oil in your stew. This will give you a healthier result and it’ll still be tasty. Because your slow cooker will have a tightly sealed lid, the liquid won’t evaporate so if you’re adapting a standard recipe, it’s best to reduce the liquid by roughly a third. Liquid should just cover the meat and vegetables. 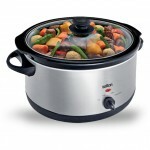 Don’t overfill your slow cooker or it may start leaking out the top and food won’t cook as well. Half to two thirds full is ideal and certainly no more than three quarters. Just as the the liquid doesn’t reduce it also doesn’t thicken. You can roll meat in a small amount of seasoned flour before adding it to the slow cooker or use a little cornflour at the end. If you want to do the latter, take a teaspoon or two of cornflour, mix it to a paste with a little cold water. Stir into your simmering slow cooker contents, then replace the lid. Use the “Low” setting setting as much as you can – most dishes really benefit from a slow, gentle heat to really bring out the flavours. This also means you won’t need to worry if you’re heading out for the day, it’ll take care of itself. 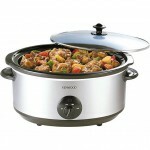 Slow cookers are designed to do their own thing so you don’t need to keep checking the contents. Everytime you take the lid off it will release some of the heat, so if you keep doing this you’ll have to increase the cooking time. Ideally you want to choose recipes where most, if not all, of the ingredients can be added at the beginning, leaving you free to do other things. However in most cases, pasta, rice and fresh herbs will need to be added towards the end. 10. How long should I cook it for? 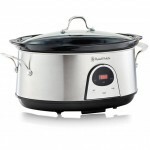 We recommend the Salton 6.5 Litre Manual Slow Cooker, the Kenwood 6.5 Manual Litre Slow Cooker and the Russell Hobbs 6 Litre Digital Slow Cooker. Fresh, homemade chicken soup is just what the doctor ordered! And what could be easier than making it in your crock pot? This is a wonderfully delicious, low calorie soup that is an absolute must-make.